Peel and cut potatoes into matchstick slices, 1/2 - inch wide and 1/4 - inch thick. Place potato slices in a gallon zip-top bag and toss with olive oil, 1/2 teaspoon salt and 1/4 teaspoon pepper. 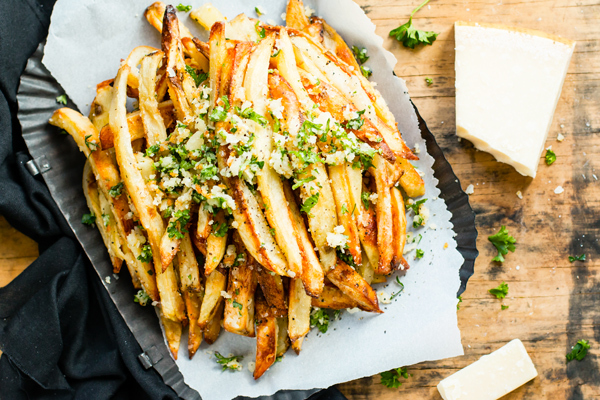 In a large bowl combine fries, garlic butter, 1/2 teaspoon salt, 1/4 teaspoon pepper, Parmesan, and parsley. Toss until fries are evenly coated.